I have a confession to make. I’m a geek. Now, most of you who have known me for awhile already know this. For you newbies, you’ve probably already figured it out after reading some of these articles each week. This article today will definitely cement that idea in your minds. At the same time, I’m sure many of you have the same affliction even if you won’t admit it. I got a new atlas the other day. My old one was over five years old. You wouldn’t think that much would change over the course of that many years, but you’d be surprised. Since I’m planning a trip sometime later this year, I thought it would be a good idea to update my maps. 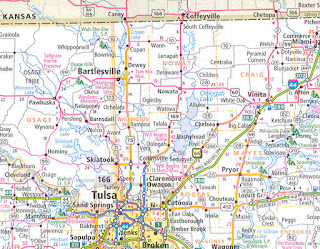 Yes, I know there are apps on my phone and GPS devices, but there is nothing quite like looking at the whole map rather than just the small part of the screen you’re on. I was excited to see the new book of maps. It made me think of when I was a kid and got maps from various states. I used to have an almanac, and I would read through the little histories of each state. For each of those entries there was an address for the tourism agency. I would write a letter asking for maps and other information as if I was going to visit their state in the near future. A couple of weeks later, a package would arrive in the mail full of maps and brochures. Eagerly, I’d rip them open and study the collection of lines that made up the roads and highways of that state. I had just read a pair of Stephen King books, The Stand and The Talisman, when I asked for a bunch of maps. At the same time, I found an atlas that AAA sent my dad for being a member. In those books, the characters were walking across the United States (and some parallel universes, too, to be precise). I wondered how far someone could walk in a typical day and what things would that person see on that trip. Starting from my home in Lockport, I started plotting out where I would travel. 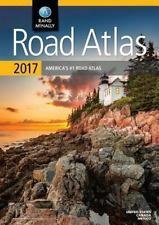 First I would pick the main route in the atlas, and then I would study the maps from each of the states to see what may be interesting to visit while on the walk. These were the days before the internet. When I found something on the map that I wanted to learn more about, I went to my encyclopedia set for further reading. For those of you under the age of 30, encyclopedias were a collection of books that had information on almost everything. It was the Wikipedia of our day with maybe a bit more reliability than the website. I had a set from my grandmother that dated back to the 1950s. While they were quite dated by the time they were in my possession, there were still a valuable resource for an aspiring traveler like me. It was this way I learned where all the Presidential sites were across the country. I dreamed of visiting Yellowstone Park or learning how Gutzon Borglum carved Mount Rushmore. When we crossed the Mississippi River, where would we be crossing it, and how has the river been used in the growth of our country. Those were some of the things I learned while simultaneously studying the maps and the encyclopedia set. Once I was old enough to drive and could plan my own trips, I spent an inordinate amount of time studying the maps before I left. I can look at a map and know where I’m going without that map once it’s time for the trip. I’ve made some of those trips that I thought up when I was 12 and 13. With the new atlas, I’ve been looking through the pages while thinking all the trips that are yet to be made. 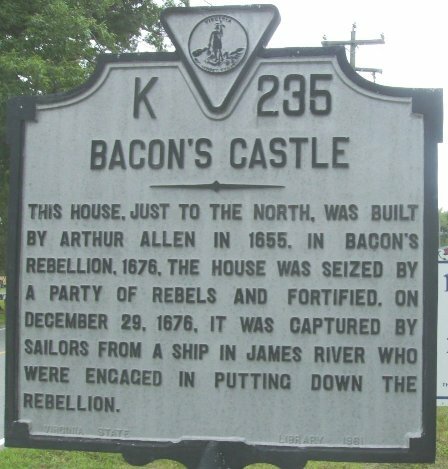 While looking at the atlas to figure out the actual trip we’ll be making, I found a place called “Bacon’s Castle” near where we planned on going. How cool is that? I think it would be wonderful to take a side trip there. I mean, it’s like my dream to have a castle. I at least would love to have my picture taken in front of the sign. Who knows if we’ll be able to fit that into the trip, but I only found it by studying the maps. Yes, I may be a geek when it comes to maps, and my coworker may make fun of me for not using technology to find my way, but I think it’s awesome. I’ve learned so much since I first wrote those letters thirty years ago. 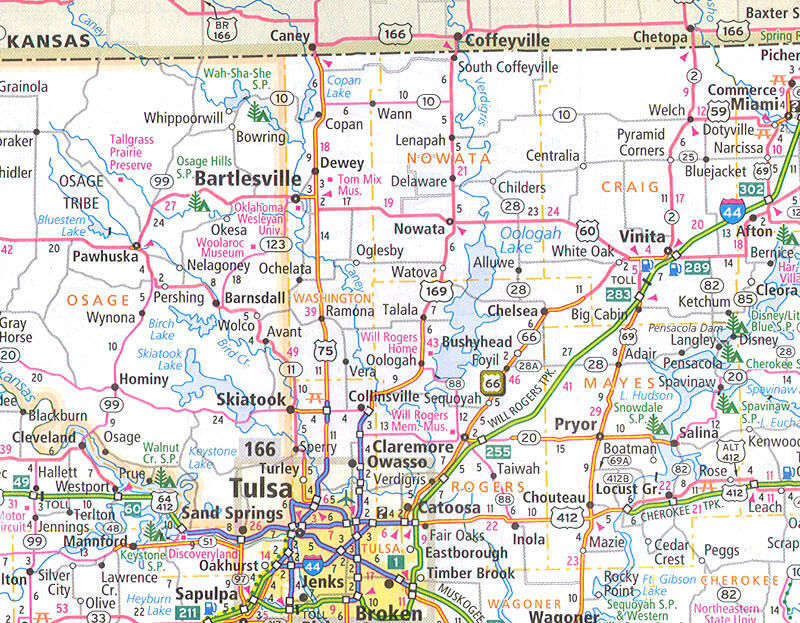 I continue to learn each time I open the book of maps. There is so much out there. You just need to know where to look. 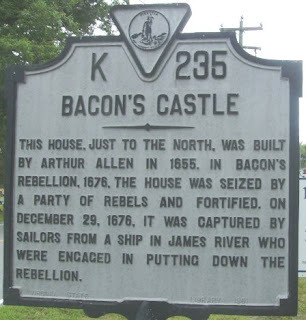 Craig Bacon has planned many, many vacations. Maybe someday he’ll be able to take some of them. In the meantime, there are many roads, many attractions, and many maps just waiting to be discovered.